Do you qualify for a Free video website analysis? | Click here to get started. Hey there, I’m Gregory Mikat owner of Yogo SEO Digital Marketing Firm and a #1 Ranking SEO Agency according to Google’s search engines. Yogo Seo is one of the top, up and coming SEO agencies in the north-west, and as owner and head of SEO, I aim to see it take its place among the top national and even international agencies, for bringing authority and visibility to only the highest quality brands and businesses. Have a look at what just a few of the business owners and CEOs, are saying about Gregory and Yogo SEO Digital marketing firm. Let’s talk about what that means for you. Because chances are, if you’re looking at this page now, you are one of the top brands for businesses in your field, and you both want, and probably even deserve greater authority and visibility on Google. The issue is, Google doesn’t care. It’s a lot like an average Joe representing himself in the legal system. Odds are that if you represent yourself in a SERIOUS legal matter, or if you choose the wrong lawyer, it will be a disaster. It turns out that Google operates the same way. Who you choose to help you on Google is the same as a good or bad lawyer. We give your business high visibility by dominating search engine rankings. We make it easy for customers to find you. We are dedicated to providing exceptional service to our clients. We will answer your questions and communicate regularly with you. Our ultimate goal is not simply to win, but to utterly dominate our competition. Our proven methods drive more customers to your website. Simply the best strategies available. We work on a month-to-month basis. If a service doesn’t deliver why should you keep paying? Be amazed as you acquire more customers who are searching for your products and services. We’re smart, innovative, and work hard to stay on the top of our game. We participate regularly in elite mastermind groups that include the leading SEO’s on the planet…all to help promote your business. It’s old fashioned…but never out of fashion, and we live it every day. When it comes to selecting a good SEO company, there are a few things you should consider. 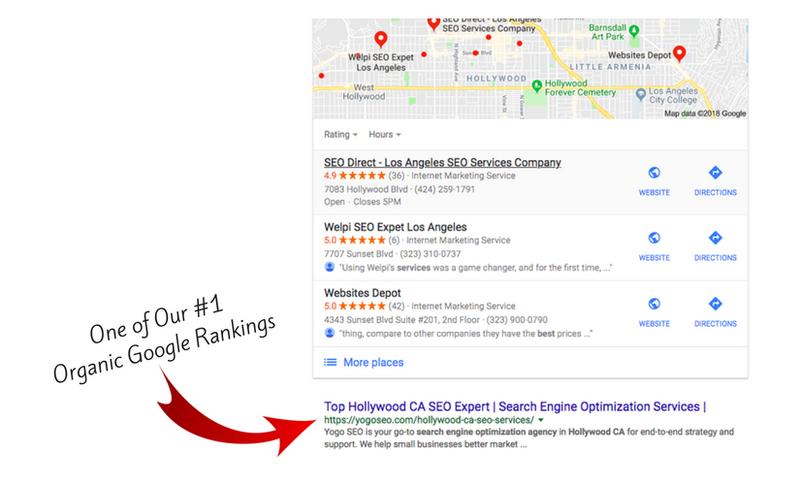 The success of your business is on the line, and your competitors are hard at work against you in order to get visibility in the organic search engine results. Here are several pointers that will help you choose a professional SEO provider. The SEO company should offer different prices for large and small businesses. Often times the cost of SEO is determined by the difficulty of ranking a particular search term. There should not be a one size fits all formula for every business. After all, if you do the same thing as everyone else, your content will likely be ineffective and remain hidden from your customers. How your keywords are optimized is a critical part of the ranking method. Search engine crawlers rank your website pages based on how relevant your content is to a consumer during a keyword search. At Yogo SEO, we analyze your content and determine the keywords you are currently ranking for. We then optimize your site and suggest alternative keywords that will increase your page rank and your traffic. When you work with an SEO company you want to know they will respond to questions and concerns. It is even better if the company anticipates your questions and gives you a clear set of expectations prior to being hired. Your “time is money” as the saying goes, so choose an SEO company that gathers all of the critical data required from you so that they can do their job efficiently. The company you choose needs to save you time by delivering work within a specified period. You don’t want to be on the phone every day holding the hand of an unprepared agency. You want a professional that you can rely on to get the job done. Search engine optimization is a very complex multi-variant system that requires a lot of hard work to develop strategies and search for keywords with good traffic and low competition. You should not expect to pay the bargain basement price for exceptional service, you will get what you paid for. Your SEO professional should explain the reason for their prices and stand behind their work. Make sure your SEO company has a plan for both on-page and off-page SEO. They should be working to develop a linking strategy and understand how this will affect search engine rankings. The company you choose should perform a detailed analysis of the linking structure on your website, and then show you how it can be improved. One reason businesses choose Yogo SEO is that we consistently fulfill our obligations. Make sure you understand that the Internet is a constantly changing landscape. Running one search engine optimization campaign can benefit you. Maintaining a consistent search engine optimization strategy for growth over the long term will be much better. It’s similar to building a fortress, then digging a large moat, and filling it with fire-breathing dragons. When it comes to doing business on the Internet it’s always nice to have a few fire-breathing dragons. We hope these pointers help guide you to choosing the best search engine optimization company. And of course, Yogo SEO should be on the top of your list in our humble assessment. Please know, that if your website is not on the first page of the search engine results for your business, then your competitors who are ranking ahead of you will be reaping the benefit of that position. More than ever local companies need to focus on search engine optimization. The phone book and Yellow Pages are no longer used. As you look around you see a smartphone in the hand of virtually every person and this is the tool people are using to find their products and services. Yogo SEO can help you get your website optimized for mobile phones and found on Google so you can begin to dominate your competition. We provide a no risk video analysis of your website, that includes an honest assessment and recommendations for improvements to your business. Call us at 888–242–3385, or simply click the “DISCOVERY FORM” button below. Don’t Let The Competition Get Your Customers!